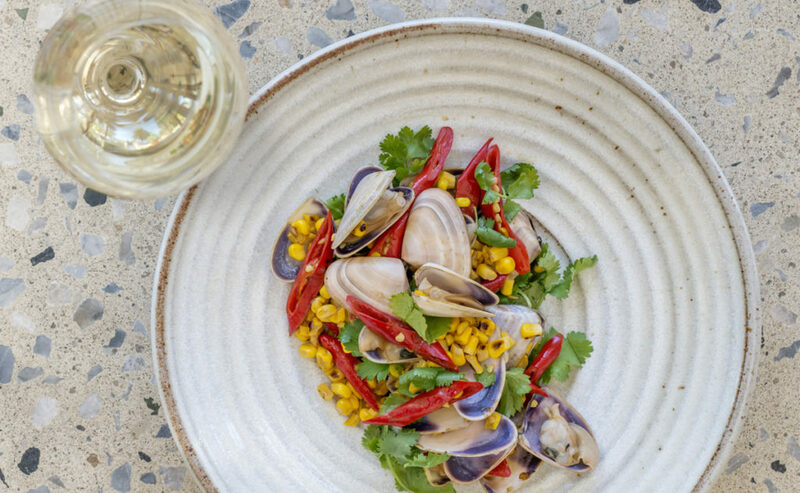 Goolwa PipiCo, already Australia’s largest pipi producer, has partnered with the Ngarrindjeri people to process and market their wild-caught pipis around the country and the world. The company harvests its Southern Ocean pipis along the beaches of the Coorong, near the mouth of the River Murray, and currently processes about 400 tonnes a year – about half of Australia’s total commercial pipi catch. The majority is sold live through wet markets and wholesalers before being served up on restaurant plates in Sydney and Melbourne. However, the development of modified atmosphere packaging in 2014 has allowed the pipis to be sold in 1kg supermarket packs that have a 10-day shelf life, double that of loose product. Managing director Tom Robinson says Goolwa PipiCo is the only consumer-facing producer that markets pipis under a brand in Australia and has national distribution through Woolworths and Costco. He says the longer shelf life also creates export opportunities. “Up until then, everything had been sold loose – we now sell over a quarter of all our catch in that packaged format. Goolwa PipiCo was incorporated in 2014 and is a collaboration between five fishing families in the Goolwa region. It handles 60 per cent of South Australia’s total allowable catch, which is set at 650 tonnes for 2019, with SA pipis accounting for about 75 per cent of Australia’s commercial pipi fishery. The pipis are harvested along a 70km stretch of Coorong coast by about 15 fishermen using rakes. The area is one of the few clam fisheries in the world with Marine Stewardship Council (MSC) certification recognising sustainable practices and a commitment to maintaining the region’s pristine natural environment. The pipis are processed in Port Elliot. Last month, Goolwa PipiCo was promised up to $489,335 by the South Australian Government to expand its operation to process and package extra wild-catch pipis supplied by Ngarrindjeri fishers. The Ngarrindjeri people have harvested pipi on the Coorong coast for 10,000 years but this is their first foray into commercial pipi fishing. Robinson says the Ngarrindjeri hope to eventually expand their quota from its current level of 5 per cent of the fishery. This would take the Goolwa PipiCo’s share of the market in South Australia to up to 90 per cent and almost 70 per cent nationally. “Our new partners the Ngarrindjeri are wanting to acquire more quota in the fishery and we will need extra processing capacity to meet the demand of the extra catch but also it will allow us to explore other products that are currently under development, including a smoked pipi and a clam chowder,” he says. Commonly known in South Australia as cockles, pipis were used almost exclusively as fishing bait until the introduction of a quota system in 2008 effectively halved supply. Robinson says introducing pipis to Australian consumers as a premium seafood had been crucial to growing the business. He says the “clean-green” story behind the Australian seafood is an important part of Goolwa PipiCo’s sales pitch, particularly as it looks to grow exports to Europe and Asia. “Our clean, cold water is really important as a lot of the clams in the world are grown in warmer waters and they are quite often grown in very polluted waters – as filter feeders, that’s not ideal. “We compete in a really competitive global market where there are really low-value clams coming out of Asia and other parts of the world, so it’s a real commodity market. The majority of pipis eaten in Australia are consumed by people from an Asian background, but Robinson says this is changing rapidly.